Our bespoke loyalty systems can be tailored to accommodate your hotel needs in the best possible way. Loyalty Pro focus on increasing your customer spend across all of your facilities. encouraging leisure guests, local residents and business guests to make the most of your other amenities. A loyalty system is also a way to make your customer feel valued when visiting you. 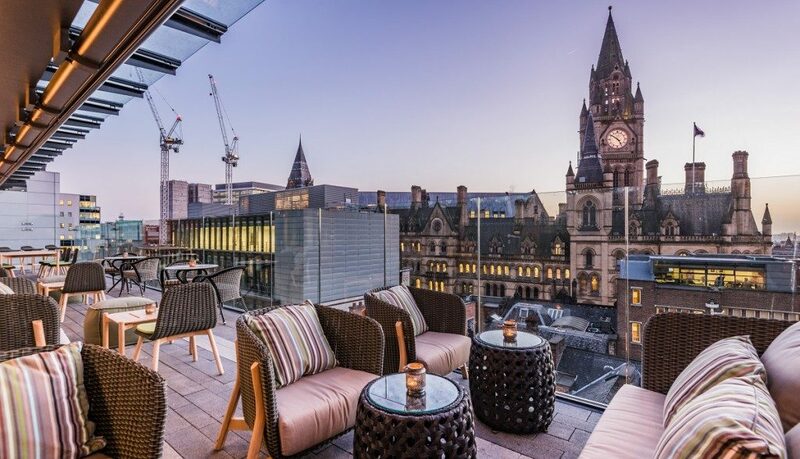 Eclectic Hotel Collection are a hotel group with four luxury hotels located in and around Manchester. Properties are styled with eclectic interiors celebrating the building’s rich history and surroundings. From intimate dining experiences to exclusive grand affairs, weddings, conferences and meetings, each hotel offers unique spaces for magical moments to turn into Eclectic memories. In April 2018, Eclectic Hotel Collection enquired about a loyalty and rewards scheme, specifically a scheme which can work alongside an app for an interactive real-time loyalty points and rewards. 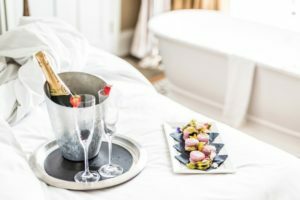 Eclectic Hotel Collection were looking to reward and encourage guests to spend within the hotel’s other facilities and generate repeat footfall in their bars and restaurants. We worked with Eclectic Hotels to discover exactly what they wanted for their loyalty system and developed ‘The Club’, a scheme bespoke to their business ensuring all business requirements were met. Loyalty Pro created a tablet-based scheme to work via both physical loyalty cards and virtual loyalty cards on the customer app. Customers can either link their existing physical card to their app or create an entirely virtual card. The customer app displays Eclectic Hotel Collection’s branding and colour scheme with a variety of functions for customer use. These include the ability to collect and track their points, view a map of all the hotel locations, receive direct messages of offers and marketing from Eclectic Hotel Collection, edit their details and redeem their point balance on purchase. Customers earn 1 point per every £1 spent, points accumulate to create a 5% cash back scheme to spend across any of the Eclectic Properties. The system works in a unique way, where hotel guests and customers can redeem their points at any time meaning customers are not having to reach a point threshold for a set voucher amount. Loyalty Pro provided tablet and system staff training on installation to ensure they benefit from the scheme the best they can. This includes the marketing portal which allows Eclectic Hotels to send direct targeted emails, app messages and SMS to their loyalty customer database. In addition to this, to emphasise the exclusivity of ‘The Club’, each loyalty card is presented within a specially designed A5 folded card welcoming the customer to the scheme. 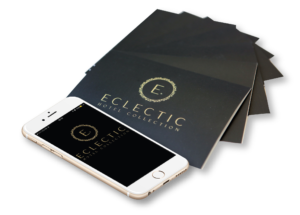 After just 4 months of operation Eclectic Hotel Collection have processed over £500,000 of purchases, the interactive dashboard on the portal is already showing 357 registered loyalty cards and 266 app downloads. We are proud that our system is proving to be a popular and successful addition to the hotel group and is generating customer spend and retention. 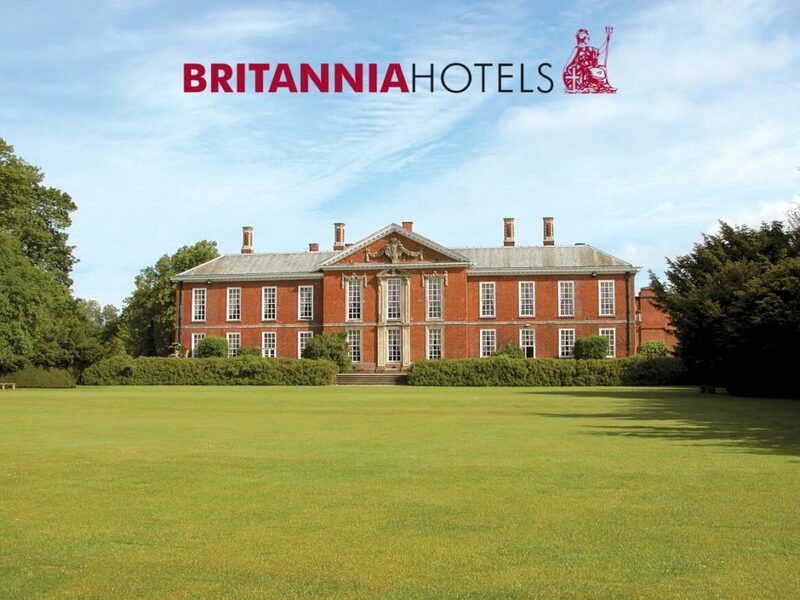 With 51 hotels across the UK with over 9,000 bedrooms and 6 holiday parks to its name, Britannia prides itself on offering the best value for quality accommodation. In 2011 the fast-expanding independent hotel group was looking for a loyalty scheme capable of growing with them. They had inherited a small manual loyalty scheme with 7,000 members after buying a chain of four hotels but wanted a more robust futureproof system. “Our loyalty scheme is one of the most generous in the hotel sector with points available on everything from accommodation to food and drink. The scheme has been particularly successful at encouraging customers to eat and drink in our hotels rather than going to an offsite bar or restaurant. We can also reward our customers for booking direct with us rather than going to a 3rd party site which we would have to pay commission to. Our customers like discounts, enjoy collecting their points and then spending them at other hotels in our group. 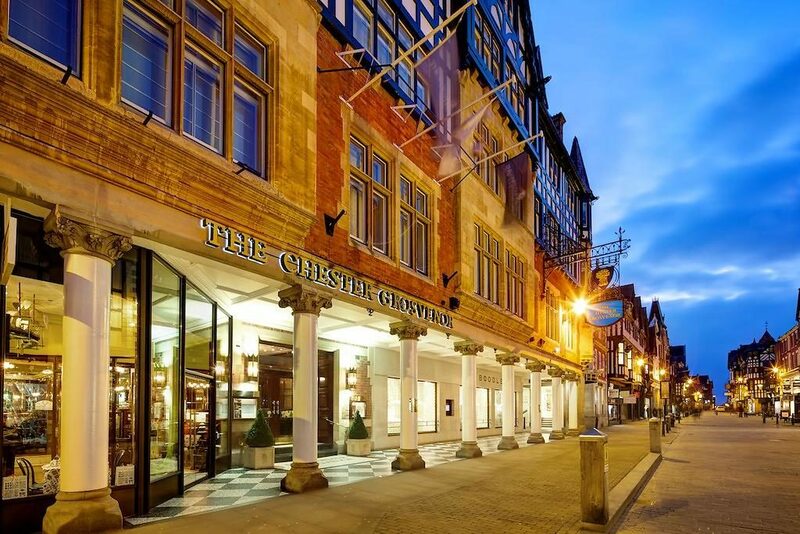 Located in the heart of Chester, The Chester Grosvenor prides itself on offering five-star luxury accommodation, known for their Michelin star restaurant, spa and newly refurbished La Brasserie. In November 2017, The Chester Grosvenor approached Loyalty Pro, one of the UK’s leading Interactive Loyalty and Reward system providers, looking to reward and encourage their loyal guests to spend within the hotel’s other facilities. Working closely with The Chester Grosvenor marketing team, Loyalty Pro developed a bespoke loyalty system which met all specific business requirements. The result of this was The Chester Grosvenor Privilege Club, created to provide an exclusive membership opportunity for hotel guests. The points and vouchers are collected and issued across both The Spa and La Brasserie, encouraging guests to spend with the hotels other facilities and services. Operation of the system is controlled by the hotel staff who will encourage guests to register. The Chester Grosvenor have also created a card request page where customers can order a card, and have it posted to them. Guests earn 1 point for every £1 spent in The Spa and La Brasserie, receiving a £10 voucher when they reach 200 points. The scheme is advertised through The Chester Grosvenor’s website and social media to generate awareness of the scheme. In addition to this, Loyalty Pro provides a marketing portal as an opportunity for The Chester Grosvenor to send direct emails and texts to their registered cardholders. After just 11 months of operation, our Loyalty Pro system has processed over £113,000 of Chester Grosvenor loyalty transactions and have found the loyalty system to be powerful for understanding customer buying behaviours. The award-winning 118-bedroom Oakley Court Hotel in Windsor has been the setting of many films, has its very own polo team and even counts Her Majesty the Queen as a visitor. 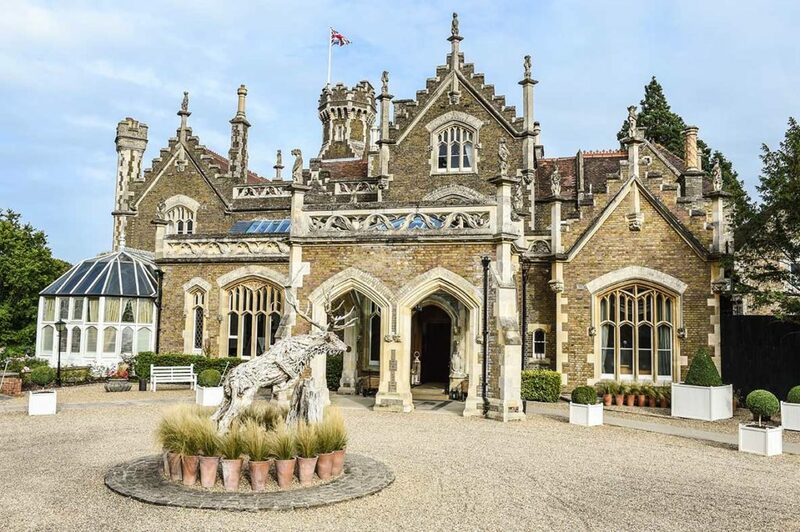 Located in rural beauty on the River Thames, The Oakley Court is the ideal place to get away from it all, whilst being in commutable distance of London and Heathrow Airport and close to LEGOLAND. In November 2016, The Oakley Court approached Loyalty Pro, one of the UK’s leading Interactive Loyalty and Reward system providers, looking for a flexible system that allowed interaction with their guests, encouraging them to make greater use of the facilities and to keep coming back. Jake Roche, The Oakley Court’s Marketing Executive, said: “We had a basic loyalty scheme in place but it was outdated and rigid. We worked closely with The Oakley Court to really understand their business requirements before creating and delivering their Loyalty Club. The Oakley Court Loyalty Club has its own unique branding, points system and rewards. Operation of the system is looked after by hotel staff who encourage customers to sign up at check-in. At this crucial point, staff have the opportunity to outline the Oakley Court facilities and the rewards for using them during their stay. The scheme is also promoted on the hotel’s website, further demonstrating to visitors and potential guests how they can obtain more value and reward during their stay. In addition, past and present customers can sign in to check their reward points balance, which can be used in future visits. For every £20 customers spend in the Hotel’s Bar, Restaurant or Terrace, the scheme rewards them with reward points. These points can then be redeemed and spent on anything from food and drinks throughout the hotel, accommodation and select private events. Currently, card holders are rewarded with £1 for every £20 they spend in the facilities or on bookings. The Scheme’s flexibility allows The Oakley Court to design and promote special offers, exclusive events and other rewards. These promotions can be sent via the marketing platform accessible by The Oakley Court central team and communicated via Text/SMS, email and now an Interactive app. Additional value rewards and promotions can be tailored to suit the business needs as demand and usage fluctuates. Jake said: “We wanted to be able to thank our loyal guests for their ongoing visits to The Oakley Court. With our own interactive loyalty and reward scheme, it has now never been easier for us to reward our guests for their value, loyalty, commitment and feedback. We have recently implemented a second loyalty and reward scheme for the hotel, called ‘The Business Club’. This is an entirely separate entity, with its own branding, which is controlled solely by the company’s sales team. The scheme has been designed to be exclusive to corporate guests and their use of the facilities. Jake said: “The idea behind The Business Club is to create a reward scheme for corporate businesses that use Oakley Court’s excellent facilities, such as the conference rooms, meeting rooms, presentation facilities and refreshments and accommodation. “The scheme is a lovely way to thank companies for booking the hotel for an event, meeting or corporate accommodation. The reward system is different to the individual consumer scheme and reflects the value of corporate usage, but shows the flexibility of the Loyalty Pro Interactive reward system even in a single location. Since launching in November 2016, The Oakley Court’s two loyalty and reward schemes combined have generated the business nearly £115,000 in additional revenue. Jake added: “We are very pleased with the Loyalty Pro system and its ability to be personalised to our brand. We have also been impressed with the flexibility of the Loyalty Pro team to adapt our version of the system seamlessly if they, or we, come across issues or limitations. “Our core customers all use their cards on a regular basis which is really encouraging. We are actively promoting the schemes and hope they will continue to get bigger and better. “We’re also really impressed by the ability for our marketing team to use data to appeal to relevant demographics within this audience. Utilising the data we have collected from our loyalty card members, we are able to identify trends in their purchases which allows us to send targeted text and email communications to select groups regarding offers and special events that we know will be of interest of them. “Recently, we utilised a list of frequent afternoon tea purchases to send a mailshot promoting our one off ‘Floating Afternoon Tea’ event. This event sold out within a matter of days – a brilliant, quick revenue generator thanks to reliable market data.